Aspiring young golfers have the opportunity to develop their talent at the same time as achieving an academic degree with the launch of a new performance golf programme at the University of Derby. The specialist two-year course is a partnership arrangement between Performance Golf Academy Derby and the University. Students who enrol on the programme will be trained to develop their golfing skills to the highest level possible, equipping them with all the necessary tools for those who wish to pursue a career as a professional golfer, as well as undertake a foundation degree in Sport Performance and Analysis. Dr Andy Hooton, Head of Sport, Outdoor and Exercise Science at the University of Derby, said: “This collaborative programme is designed for talented golfers who are wanting to boost their skills as well as gain academic qualifications, ultimately, enhancing their career opportunities down the line. The programme has been designed by academics at the University of Derby along with former English Golf Union Performance Director, Nigel Furniss, who has worked with many leading English golfers who have played and competed nationally, internationally and on world professional tours. Nigel, who is now Director of Performance Golf Academy Derby, said: “We are excited to be working on this new and innovative project with the University of Derby. We see this as a great opportunity for students to train and develop their golf to a top level with the support and expertise of the team at Performance Golf, while studying an educational degree programme. “We have a wealth of knowledge and experience of training individuals to play at the highest level, having been involved in player development programmes at international, national and county level for many years. We are passionate about, and have a great track record of, helping players to reach their true potential. “Working with the University will present players with access to cutting edge technology in the University’s Human Performance Unit, which includes state of the art high speed cameras and force-plate platforms for biomechanical assessment. The programme will suit applicants who have a passion to develop their golf to a high level and are looking to pursue a career in the golf industry. 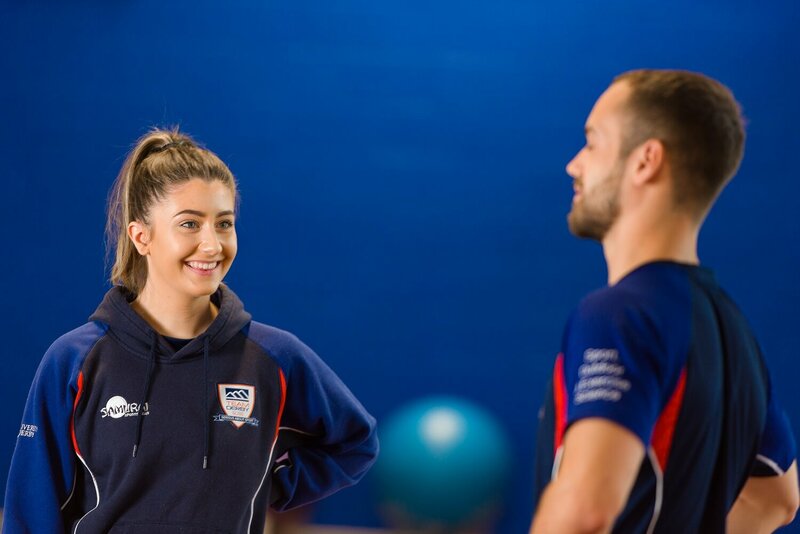 Students on the programme will have the opportunity to top up their foundation degree to a BSc (Hons) Performance Analysis and Coaching Science qualification. The University of Derby is currently looking to identify and enrol students for the September 2018 and 2019 intake. Applications are now open. For more information, please visit the course page. For further press information please contact Kelly Tyler, University of Derby PR Officer, on 01332 591891 or email: k.tyler@derby.ac.uk or Nigel Furniss at Performance Golf Derby on 07871 260430 or email: nigel@performance-golf.co.uk.